Gov. Jay Nixon plans to call a special session of the Missouri General Assembly to pay for the Missouri National Guard and Missouri Highway Patrol’s operations in Ferguson and the St. Louis region. Gov. 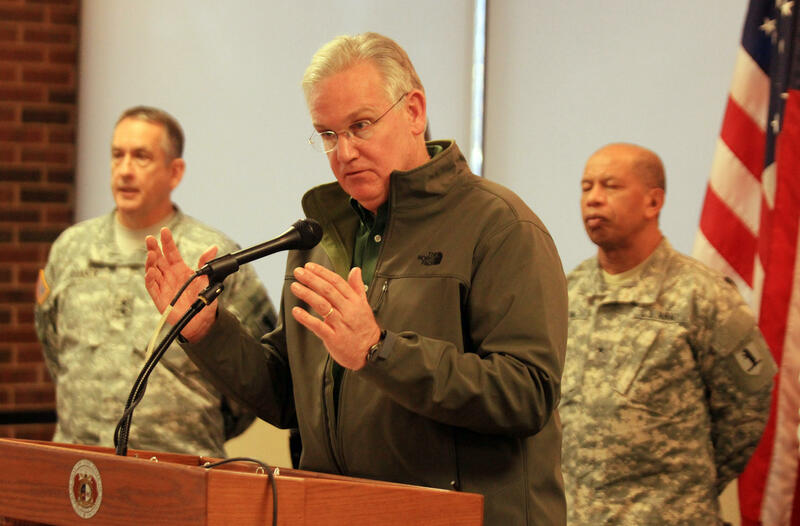 Jay Nixon is calling a special session to pay for the Missouri National Guard and Missouri Highway Patrol's operations in Ferguson and the St. Louis region. It’s a move that comes amid immense disapproval of how the governor handled the aftermath of a grand jury’s decision to not indict Ferguson Police officer Darren Wilson for shooting and killing Michael Brown. The governor's release went onto say that details regarding the timing and scope of the special session will be released in the coming days. Nixon’s decision to call a special session comes after he faced widespread criticism for how he deployed the National Guard on Monday. Gov. 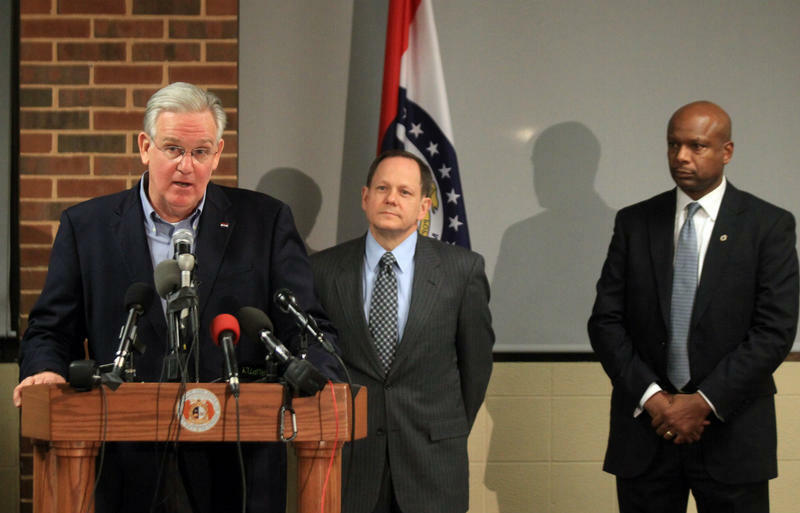 Jay Nixon speaks at a press conference at the University of Missouri-St. Louis on Tuesday. A few political figures – including Ferguson Mayor James Knowles III and Lt. Gov. 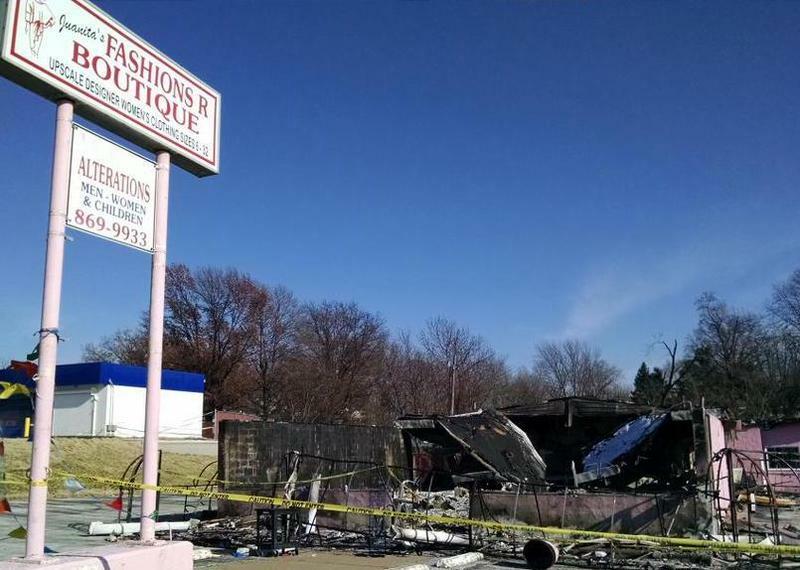 Peter Kinder – questioned why the Guard wasn’t on West Florissant Avenue before businesses there were burned and looted. 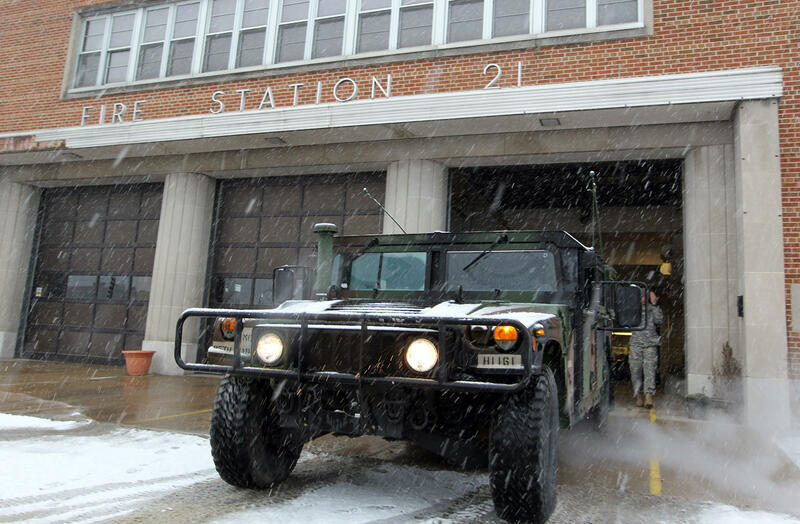 That criticism continued on Friday when Dellwood Mayor Reggie Jones said his city was promised that its business district would be protected by National Guard troopers. He said "they failed to arrive." House Majority Leader John Diehl -- a Town and Country Republican who will become the speaker of the Missouri House in January -- said in a statement "that both parties in the legislature are committed to ensuring the men and women in law enforcement and in the National Guard are fully compensated for their service in protecting our communities during unrest." But Diehl emphasized that lawmakers weren't happy that the governor "provided little to no communication" since Brown's death in August. 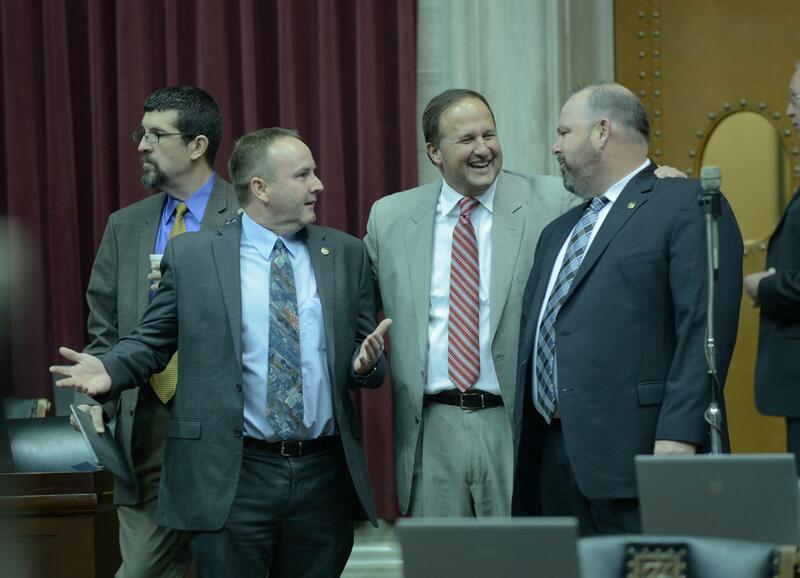 House Majority Leader John Diehl, center, said the legislature is willing to appropriate more funding for the National Guard and Missouri Highway Patrol. But he said in a statement released on Saturday that lawmakers want answers from the governor about his decision-making during the last few months. "Even the mayors of those cities being overrun by looters and vandals calls go unanswered by the governor," said Diehl, alluding to criticism from Knowles and Reggie Jones. "Without consultation or communication, the governor has spent millions of taxpayer dollars while making poor decisions impacting the safety of our communities." Diehl said Nixon "has yet to provide us with a written plan and has not provided basic answers to the decisions that have put us in this situation." He said the governor needed to "come forward and provide answers." "We are open to a special session to address this crisis, but we expect the governor and his staff to provide a written and responsible plan going forward," Diehl said. " We also expect the governor and his staff that made decisions during this crisis come forward and appear before the legislature. It is time for an accounting and for leadership that will not only communicate but work with the legislature to solve this crisis." ANNOUNCEMENT PROTESTORS: @GovJayNixon wants a special session to give more $$ to National Guard. Sounds like a field trip to Jefferson City! I've been waiting for this showdown for years. Better come w/ a sweet deal bc I can filibuster for hours & hours...like the Energizer Bunny. Before and after the grand jury’s decision became public, Missouri Gov. 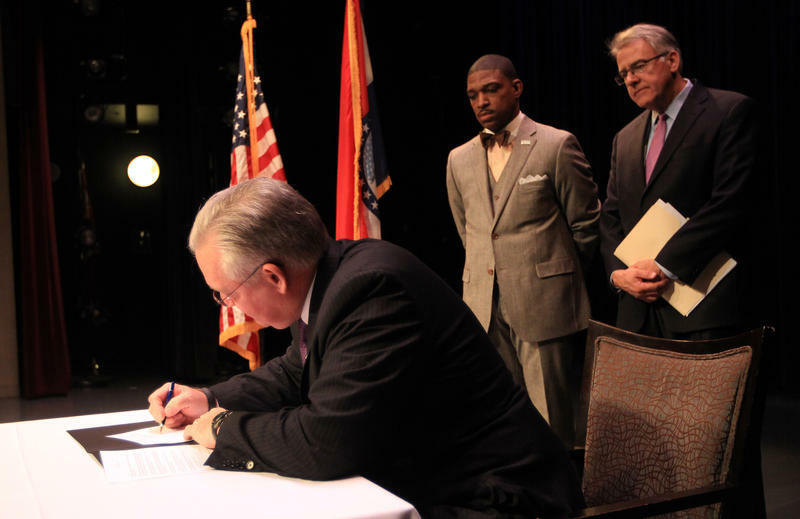 Jay Nixon and other area governmental officials made clear Monday night that they understood the stakes. “Now is the time to show the world,” said St. Louis County Executive Charlie Dooley, that protesters and their critics can react without violence to the grand jury’s decision regarding whether to indict a Ferguson police officer who shot an unarmed teenager on Aug. 9. Ferguson Commission: Who Didn't Make It? 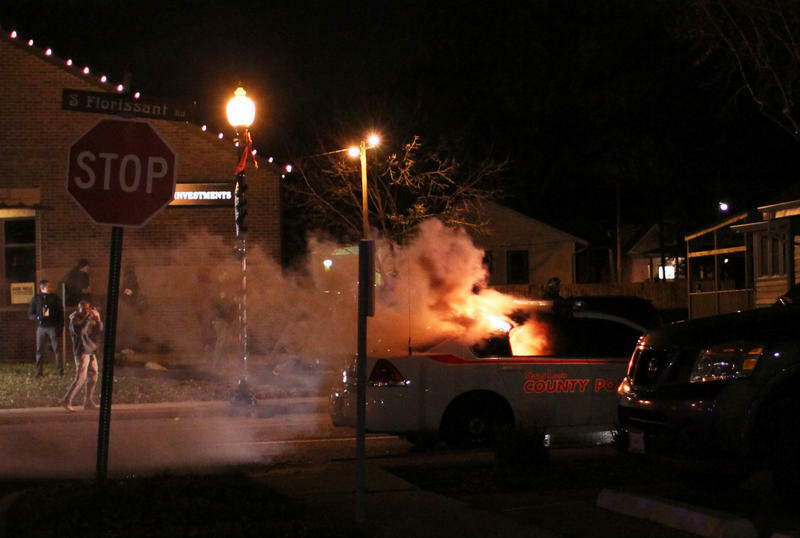 It’s an open question whether the Ferguson Commission will produce ground-breaking changes or a report that gathers dust on a shelf. But it’s indisputable that a lot of people wanted to be on the 16-person commission. According to a spreadsheet released by Gov. Jay Nixon’s office, more than 300 people from all corners of the state applied.